Making your own jewelry has its own joy and satisfaction. In this article we talk about magnetic clasps that make it super easy to secure and remove necklaces and bracelets. 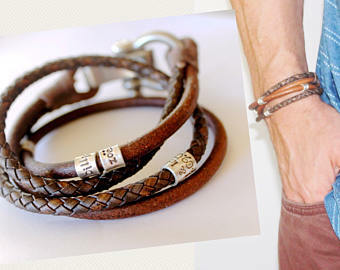 The magnetic clasps simply attract each other and secure the jewelry with no effort at all. They are also the ideal choice for people with limited hand mobility. Let us look at how to use magnetic clasps in your jewelry. Once you have decided the jewelry you plan to make, collect all the items needed to make it including the right type of clasp. 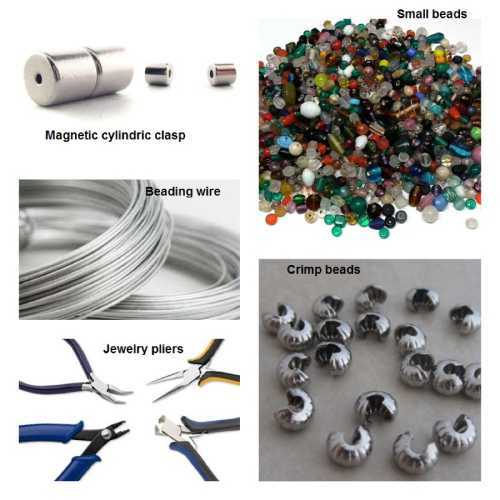 In case you are using a beading wire to make your jewelry, a magnetic cylinder clasp is a good choice. A magnetic cylinder clasp has holes on each side with one hole smaller than the other. Place the beading wire through one clasp. A crimp bead helps tie off the ends of a beaded jewelry. Place a crimp bead on the smaller hole of the clasp and string a small bead onto the wire on the other side. Now loop the wire back through the cylinder so that the bead is hidden in the larger hole and two pieces of wire are sticking out of the smaller hole. Bring the wire and string through the crimp bead tightening it so as no wire shows up from the larger hole. Use the pliers to press down the crimp bead and cut off any extra wire left after crimping. String all the beads through the remaining beading wire to create the necklace or bracelet.